CATCH UP: Casey Burrill takes a break from the easel with children Lexi, Mika and Otis. Singer, teacher, mum and now full-time artist. The life of South Geelong artist Casey Burrill has taken some twists and turn but talent has always been in her driver’s seat. 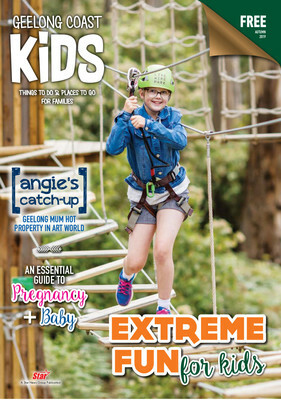 “My life is always changing,” she tells Angie Hilton in the latest edition of Geelong Coast Kids magazine. “The hardest part is working from home. I still paint in my hallway as I don’t have a proper studio yet. 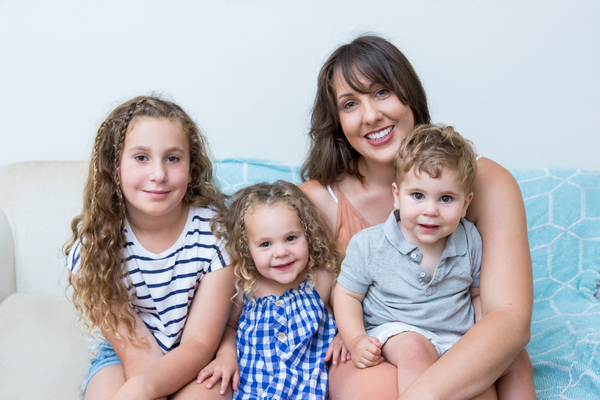 Geelong Coast Kids is out now, featuring a three-page spread on painter Casey and her amazing family in popular regular feature Angie’s Catch Up. Holiday activities, parenting advice and lots of other great ideas and information are spread throughout the magazine’s autumn edition. Thousands of glossy copies are available to pick up now free of charge at hundreds of family-orientated venues across Geelong, the Surf Coast and Bellarine Peninsula. For more information visit geelongcoastkids.com.au or follow the magazine and Angie’s posts on Facebook.